One Monte Carlo, a new luxury complex neighbouring Monaco’s famous casino, is open for business after four years of construction. It gives the Principality some much-needed Monte Carlo real estate in the form of luxury residential buildings. But One Monte Carlo is much more than apartments: this ambitious urban planning project has created a brand-new pedestrianised shopping district, a conference centre, an art gallery and offices. 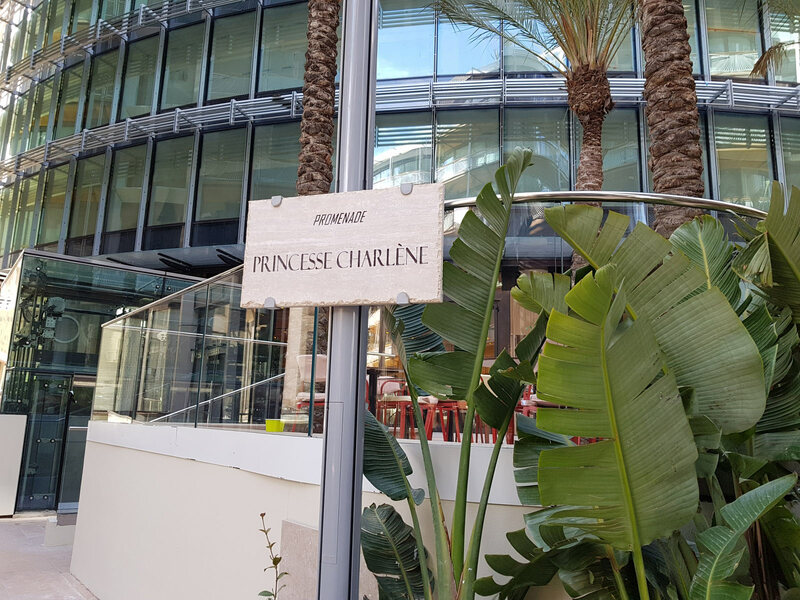 The development is so important to Monaco that it was inaugurated by Prince Albert II and Princess Charlene in February 2019. The royal couple was accompanied by their four-year-old twins, Prince Jacques (heir to the throne) and Princess Gabriella, who both stole the show in their leather jackets and shades. Visitors to the luxuriantly landscaped new pedestrian area – designed by Jean Mus – can stroll around 24 luxury boutiques showcasing some of the world’s most prestigious brands. 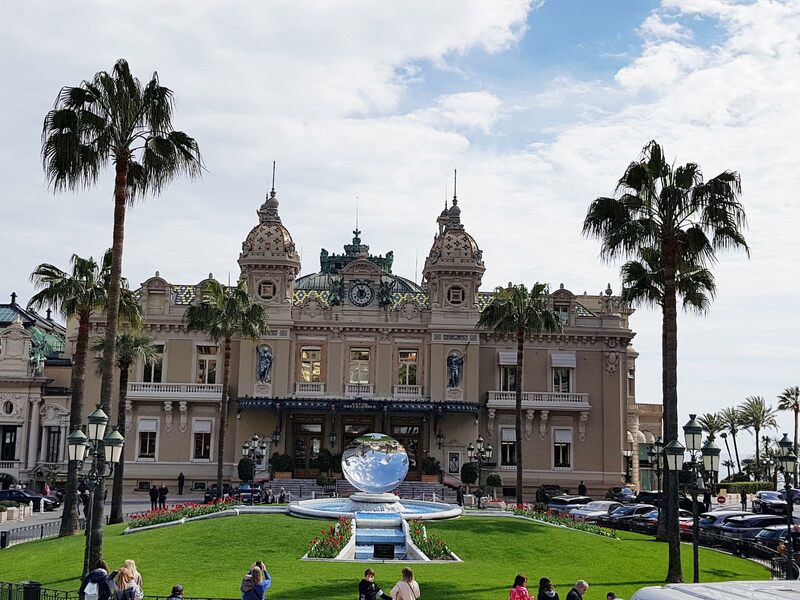 In a country known for its narrow winding roads, which challenge Formula One Grand Prix drivers each year, One Monte Carlo offers a breath of fresh air. The development was created on the site once occupied by the Sporting d’Hiver, an Art Deco building that hosted glamorous high society events in its heyday. Although there was opposition to the demolition of the Sporting d’Hiver in 2015, One Monte Carlo has created a space for the public to enjoy. The benches are an invitation to people-watch in the legendary Monte Carlo district, whose legendary aura has attracted tourists for decades. Mada One, a café, bistro and bakery concept dreamed up by Michelin-starred chef Marcel Ravin, stands on the corner of the newly-created Promenade Princesse Charlene, which is lined with luxury boutiques and at right angles to the other pedestrianised shopping street, Avenue des Beaux-Arts. Rogers Stirk Harbour + Partners, the architecture and urban planning firm behind numerous prestigious projects around the world, including London’s Leadenhall Building and International Towers in Sydney, designed One Monte Carlo. They worked with the Monaco-based architect Alexandre Giraldi, designer of several new buildings that have changed the skyline of the Principality, including the much-talked-about Tour Odéon. 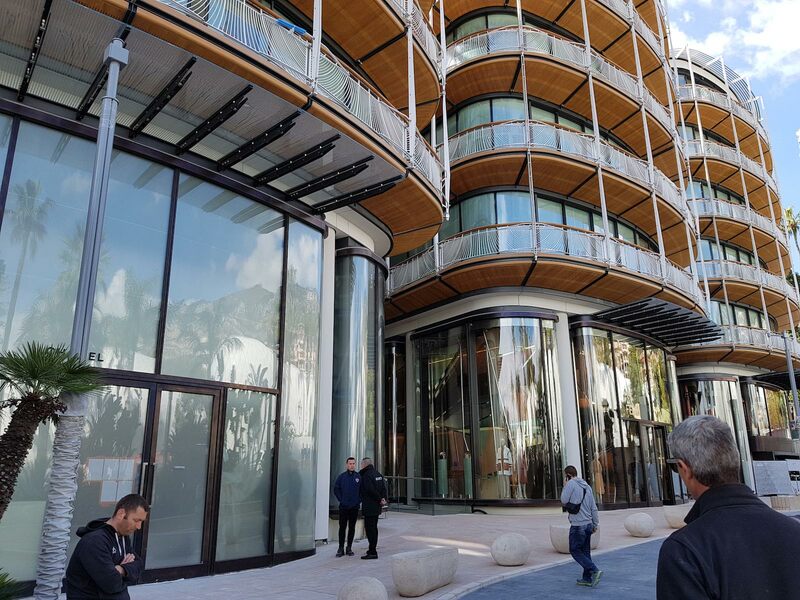 The new apartments of One Monte Carlo are located in six pavilions of between five and 13 storeys with elegantly curved facades Four pavilions stand on Allées des Boulingrins, the others on Avenue Princesse Alice. The apartments, which stand above the ground-floor boutiques, feature floor-to-ceiling windows and spacious balconies. The surface areas of the 37 prestigious apartments range from 60m2 and 800m2. Six triplex apartments boast private swimming pools on the upper storeys and up to six bedrooms. Residents can enjoy stunning views over the city, mountains and the Mediterranean Sea and an ingenious system of retractable facades that allows the apartments to be transformed into external living spaces. Interior designers Bruno Moinard and Claire Betaille from the agency 4BI & Associés, which notably created the interiors of the Four Seasons in London, used materials from the region throughout the buildings. The apartments have fully-fitted bathrooms, dressing rooms and kitchens and are rented unfurnished. Residents of each new Monte Carlo apartment for rent in the new complex has a concierge service and valet parking at their disposal and can use the pool and fitness centre of the nearby Thermes Marins Monte-Carlo. They also have the option of housekeeping, laundry and room services. The Inauguration of One Monte Carlo complex followed the extensive renovation and modernisation of its neighbour, the Hotel de Paris. Together, they are helping to ensure that Monte Carlo real estate remains the jewel in Monaco’s crown.